An acoustic bass that‘s a little smaller for people who up to now felt that the bodies of "normal" basses have been too "bulky". This bass comes with a smaller body and shorter scale. Muito bom valor para o preço, recomendo a todos que estejam a pensar comprar um baixo acustico deste tipo. Claro que existem outras opçoes, mas todas elas sao bastantes mais caras. De qualquer das formas, aconselho muito esta opçao. Assim que a usar um pouco mais poderei ter uma ideia mais certa sobre a mesma. 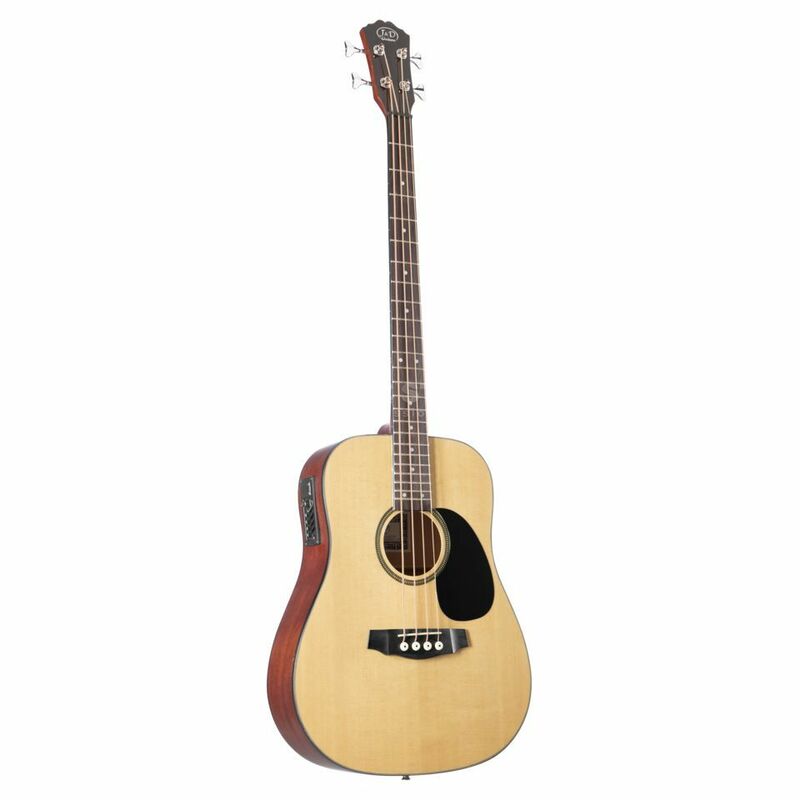 This is a well made bass that is easy to play and which sounds deep and sonorous. Using it, my bass playing and ear have both improved dramatically. At last no need to mess around with cables and amplifiers! The nut could have been cut lower. Strings were a bit high, so I use a capo to get a lower action. The scale length could still smaller. Fender/ squire make basses with a 30" scale for easier playability. I still find that Im accidentally knocking the headstock against things! But with some set-up work, a nice bass.